We provide our clients with a means of traveling that is convenient, safe and comfortable. People in wheelchairs no longer have to go through the hassle and pain of being carried into their vehicle. 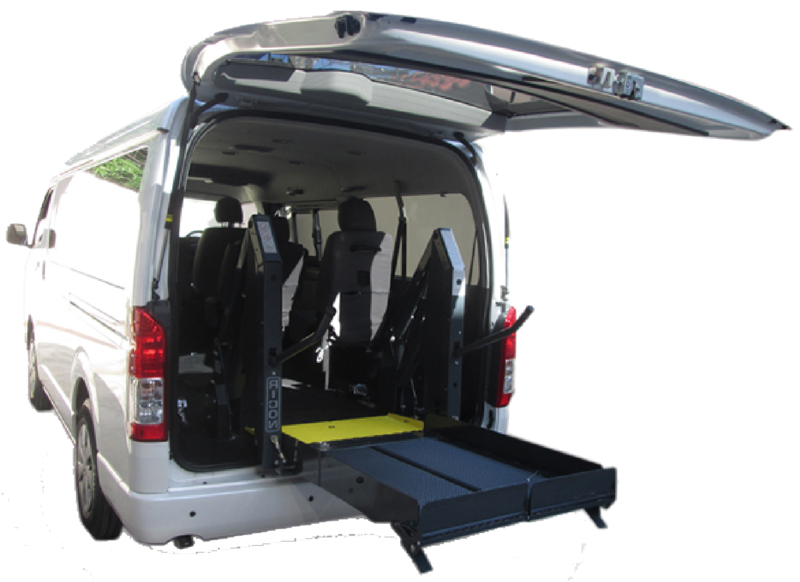 Our hydraulic wheelchair lift, which is manufactured in the USA, allows passengers to enter their vehicles through the van backdoor without having to leave their wheelchair. Our van is equipped with wheelchair safety restraints, which lock the wheelchair in place as the van is moving. Our vehicle is a Toyota Hiace Grandia which seats five passengers, one wheelchair and one driver. Moreover, there is space in the back for passenger’s belongings, making this vehicle perfect for family trips or company outings.